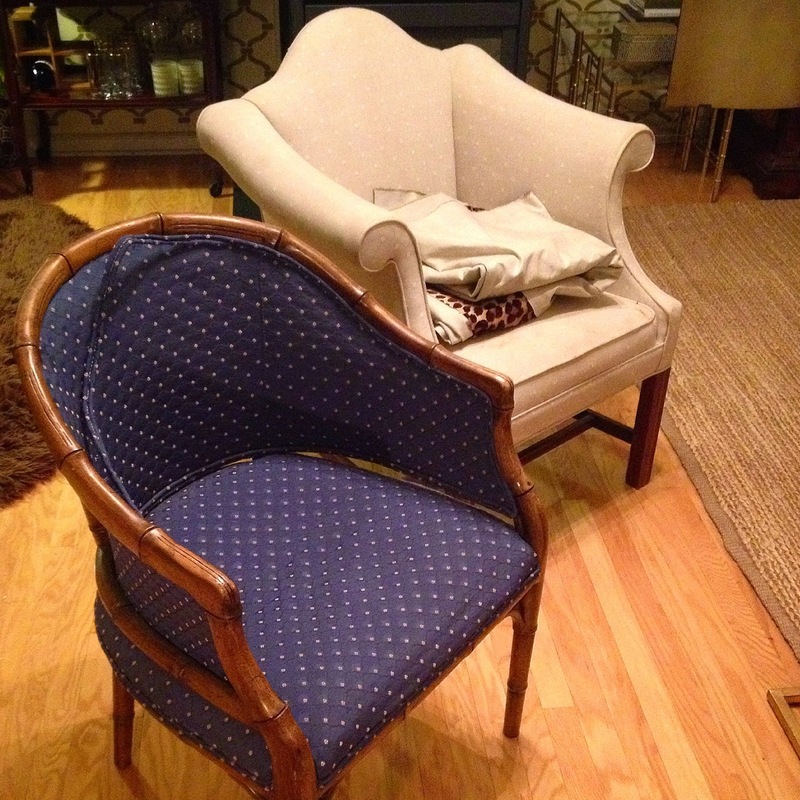 Dwell by Cheryl: From Goodwill to Glam! Well hello there! I feel like we have so much to catch up on. It's been a hectic couple of weeks, but with the Fall semester over, my last client project of 2014 complete, I'm back! Today I MUST share with you one of my recent furniture transformations. I've been known to take a furniture with good bones and give it a new life through reupholstery and a fresh perspective, but I'm often doing that for my client's homes. Well this time, it was all about me. 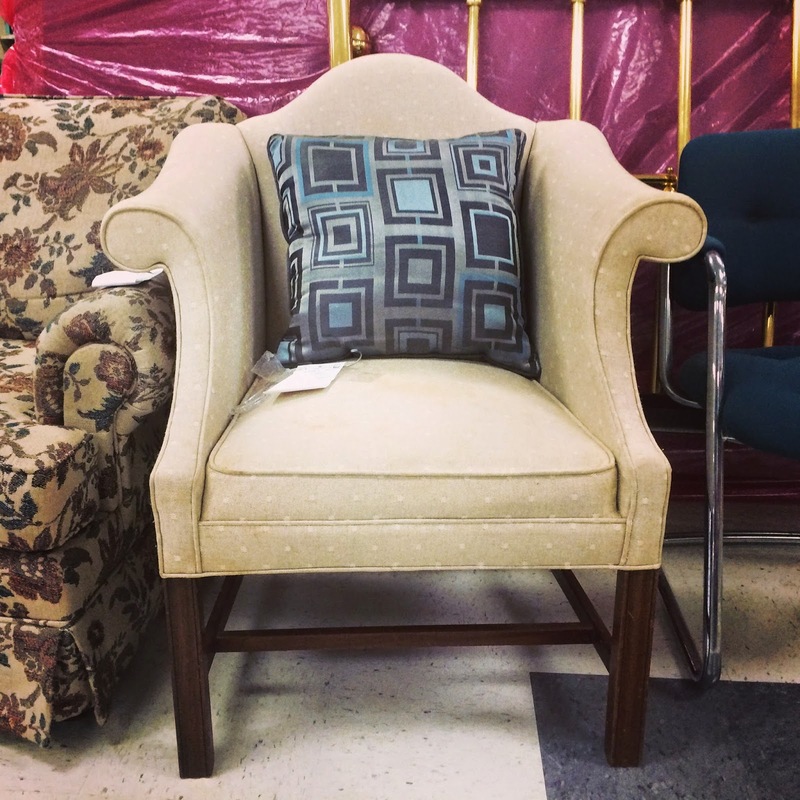 She was out shopping at her neighborhood Goodwill and noticed that this piece looked a lot like my sofa. I immediately inquired about the price. When she responded with $14.99, I couldn't type "GET IT!" quick enough. I'll be honest, it sat in my garage for nearly a year, before I finally found the right place for it and the perfect fabric. Sometimes these things take a while. Patience is key. 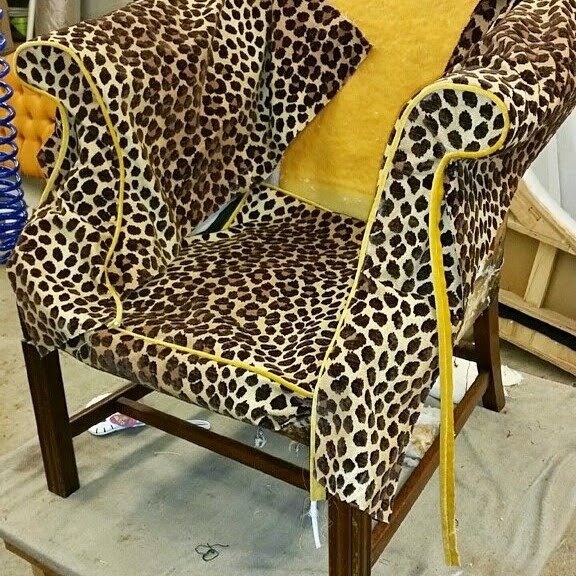 It wasn't until the night Baity's Custom Upholstery came to pick it (and another chair) up that I got really excited about the transformation. I selected a velvet and cotton cheetah print. Yes, a bit of a departure for me but I felt like my living room needed a little fun. I decided to up the prep factor with a contrasting welt in a rich gold I used previously on a throw pillow. 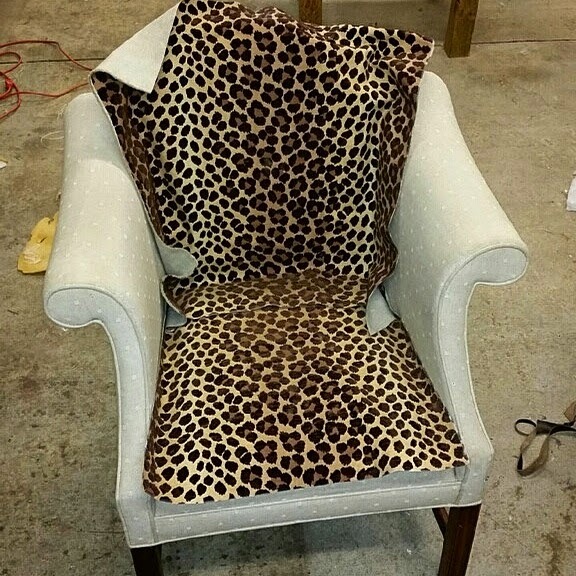 I almost flipped when I got this progress picture from the upholsterer. I was right! I'm obsessed with this chair. It is exactly what the space needed. I was obsessed with the bones from the jump. I'm sure it had something to do with the fact that I'm a sucker for a Chippendale leg. The fabric is just to DIE for and add to that the contrast piping and I think I 've died and gone to chair heaven. Oh, did I mentioned it's comfortable too? I LOVE THIS CHAIR! So, what do you think? Would you have scooped up this deal or just passed it by without giving it a second look? Oh my Cheryl! The chair looks AMAZING! I would never have thought of a leopard print but it's perfect! I would have scooped it up too and gotten some eye rolls from my husband - lol!its beautiful! Oh I adore it too. So perfect and what a really, really fun piece. Absolutely gorgeous!!!! I never would have picked it up or envisioned such a beautiful transformation. You have been blessed with a special eye for furniture fashion. Absolutely amazing!! I love the special touch of the gold piping. Stunning! Absolutely beautiful. Can you share the fabric? !